Property broker JLL has said the UK’s vote to leave the European Union will delay the Dubai housing market’s recovery by six months. After two years of falling house prices, JLL had previously forecast, the residential market in the emirate would start to recover either towards the middle of this year or later. “Provided there are no major external shocks over the rest of the year, we expect the Dubai residential market to recover in early 2017,” JLL said. According to the broker, house prices remained flat in the three months to the end of June. This means the average Dubai house price now stands about 15 per cent lower than it did at the last market peak, in mid-2014. “Even though it is too early to predict the long-term implications, overall there is a slight probability of British investors being negatively affected by the devaluation of the British pound following Britain’s decision to exit the European Union,” said Craig Plumb, the head of research at JLL’s Dubai office. “Expatriates in Dubai are most likely to continue renting their homes instead of switching to ownership, resulting in sales being more negatively affected than the rental sector,” he said. 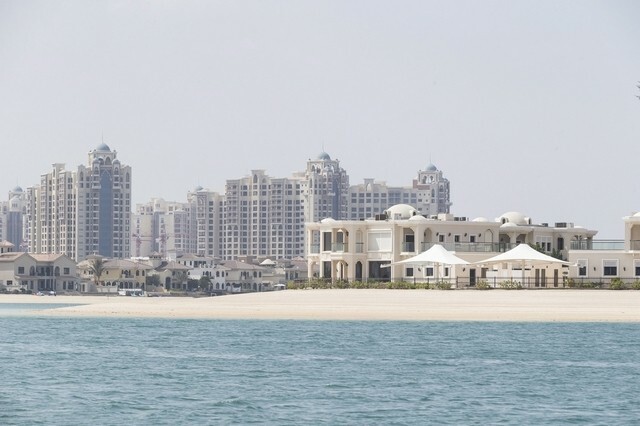 But in a note to investors, property analyst Unitas Consultancy said it did not expect the Brexit decision to affect the Dubai property market. Unitas said the value of the pound has not fallen by as much if taking a view over the last 18 months, while the amount of property bought by British investors in Dubai had increased over the same period. According to Unitas, which uses Reidin data, the total amount of money spent by British buyers of Dubai property had increased to Dh10.8 billion last year – or 8.6 per cent of total transactions – from Dh5bn in 2012, or 3 per cent of total transactions. Unitas said: “The effect of the Brexit event will be played out over the next few years on a global stage that will continue to push markets in unexpected ways.